Network & Communications - Static routing, Comprehensive IPv6 supporting management, QoS and ACL and more. The ProSafe Gigabit Stackable Smart Switch family is unique in delivering the scalability, reliability, and performance growing small and medium-sized businesses need in an affordable and easy-to-manage package. 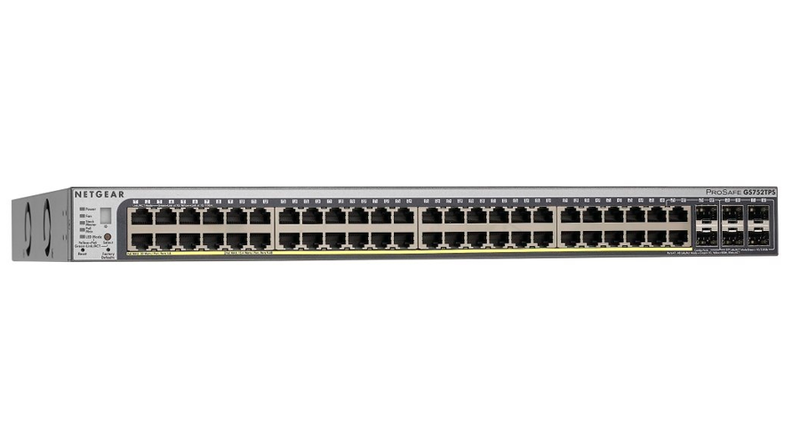 The NETGEAR's Second Generation of these Stackable Smart Switches consists of 4 models in 28/52-port configuration with or without PoE option. They come with more port density and a total of 6 SFP ports for fiber connectivity. Among them, 2 are shared, and the other 4 are dedicated for either stacking or uplinks. This new generation of Stackable Smart Switches offers more flexibility and scalability that will make it easier and non-interruptive for growing businesses to expand their network capacity.